The Scratching Post – 2013 Issue No. 3 – Tails High, Inc.
Hi all! Please excuse the duplicate newsletter. It appears our first version sent out with a crazy green background in some internet browsers and we wanted to correct that for easier reading. If the formatting is still difficult, please consider opening this in Internet Explorer. Gizmo lets adopters, visitors, and our cats socialize in an enclosed space instead of the cats having to be in cages stacked on tables for the entire day. Les, a Tails High volunteer who’s been helping us by setting up and taking down the Gizmo at our Annandale Petco events, is being transferred to the west coast. Because he will be leaving in the next few weeks, we are desperate for one or more people to make up a new Gizmo team. The job entails setting up the Gizmo before an event – probably a Saturday morning between 9 and 10 am and dismantling the Gizmo at the end of the weekend’s events around 4pm. There is a slight learning curve but once familiar with the process, setup with only one person should take no more than an hour and take-down at the end of the events should take about a half hour and with more than one person those times become much shorter. We typically have adoption events at the Annandale Petco two weekends a month, and if multiple people join the team, each member may have Gizmo duty only one shift per month. We need at least one or two volunteers to be able to set up the Gizmo for ourDecember 8th event. WILL YOU BE A HOLIDAY FOSTER PARENT? We are looking for temporary fosters who can help over the holidays. Many of our permanent foster parents travel and we have to reposition all of the Tails High cats who are in their homes until they return. Please email us if you will be in town and can help out. Updating our mailing list is an on-going process. Please click here and provide us your current mailing address and any change in email address you’d like us to make. If you prefer, email us with your information. Tails High will be postponing our 4th Anniversary Celebration until after the holiday season. COMBINED FEDERAL CAMPAIGN (CFC) DEADLINE EXTENDED! Tails High depends upon charitable contributions made by Federal civilian, postal and military donors through the CFC to help care for and support our cats & kittens prior to their adoption. Donation season has already begun and the deadline for making your selections has just been extended to January 15, 2013. The Tails High CFC number is 23910 in the CFC Catalog of Caring. Please pass our CFC number on to your animal-loving friends, neighbors, and family who are Federal employees and ask them to consider allocating a part of their CFC contribution to Tails High to enable us to rescue more homeless cats and kittens. You can click Donate Now at http://www.cfcnca.org to make a CFC contribution. Please consider sharing this message on your Facebook, Twitter or other social media site. Alexander came to us from a local shelter as a tiny kitten along with his mom (Cass) and his siblings. He seemed fine but we recently noticed Alexander had started squinting and hanging out with his eyes closed more often and for longer than we’re comfortable seeing. We scheduled a visit with Dr. Micki Armour, a veterinary ophthalmologist. Her expertise in dealing with any eye issue has well been worth the drive to her Leesburg practice! We found out that Alexander was born with an eye condition in his right eye called a corneal dermoid which needed to be treated surgically. This means a small patch of skin was growing on his eye. That skin was growing hair which was painful, was causing him to squint and his eyes also teared up. Without correction, this could have caused a corneal ulcer, which most of us may know as a scratch on his cornea. With a very delicate micro surgical procedure, the hair and skin can be removed to prevent this from happening. Alexander has had his surgery and the dermoid was successfully removed. very soon. Alexander and Tails High would greatly appreciate any and all donations to help with the $1,400 bill for this much needed surgery and related care. Originally we heard that this pretty girl had some old injuries and that she and her kitten simply needed a new home and to leave a local shelter as soon as possible. Then we received word that x-rays had been taken that showed her pelvis to be broken in 3 locations – and this was a new injury! They suspected she had been hit by a car. Tails High decided to take Abigail in as one of ours, provide her the necessary treatment, help her to heal and then find both her and her baby, Fletcher, good, loving new homes. down and then she hangs out loving all the petting she can get. Through all of this ordeal she has been a wonderful and nurturing mother to Fletcher. A few weekends ago, Fletcher was adopted and now Abigail is alone and looking for a place where she can finish healing and get lots of love and attention at the same time. We think Abigail would be best in a home without children and somewhere with a calm atmosphere so that she can play and run at her own pace. Abigail is doing so well, we expect her to be at the Annandale Petco adoption event on Saturday! If you would like to help by fostering Abigail for a couple weeks or maybe even adopting her, please email us. We are celebrating our 4th successful year at Tails High and we couldn’t have done it without our volunteers. If you are interested in taking on a role within the organization, here are some areas where we would LOVE your assistance. Fostering – Often our biggest need is for families willing to foster kitties while they wait for their new homes. The number of foster homes we have helps determine the number of cats we can rescue. Please fill out this form to let us know you are able to open your heart and home to one or more cats or kittens. As we mentioned above, in this newsletter, we also need temporary fosters who can help out over the holiday season. Feeders – We always need extra help covering the shifts for feeders who can help care for our cats at the Annandale Petco store. You can sign up for once a week or once a month either in the morning or the evening to refresh the kitties’ food, water, and litter and tidy up the cages. Send an email to Ronnie for more information about joining the feeder team. 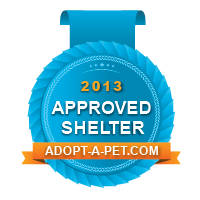 Adoption Events – Most of our cats and kittens are adopted during theadoption events. We’re happy to train anyone willing to lend a hand on how to staff an event. You’ll be greeting adopters, explaining the process, and best of all – playing with kitties! Take a look at our Adoption Event Calendar and email us if you’d like to help out at one of the events. Gizmo Team – We are looking for volunteers to help set up and take down the Gizmo at our Annandale Petco adoption events. Please see our notice above for more information. Donate – If you don’t have a lot of time to spare, you can always help by donating. Monetary donations of any size will be graciously accepted and put to good use! You can make a donation online via Paypal through our site, through your Combined Federal Campaign selection, or by mail to Tails High, Inc. 708 Timber Branch Drive – Alexandria, VA 22302. In addition to medical, food and litter are usually our biggest expenses. We’ll expand on this in the next newsletter. Stay tuned if you want to help! Q. Do I really need to trim my cat’s nails? A. A cat’s claws are very important to them and should be trimmed about every two weeks. Cats use their claws to hunt, climb, and defend themselves. They also use their claws as social signaling instruments, leaving messages on surfaces to tell other cats where they frequent. Because their claws grow in layers, your cat will frequently feel the need to sharpen them against coarse materials (i.e. your furniture, drapes, etc.) to remove the worn and fraying outer layer. They may also use their claws in play which can become a problem with their human friends. You can teach your cat to direct their scratching toward appropriate targets like scratching posts. However, another easy solution is to regularly trim your cat’s claws yourself. Although the thought of trimming your cat’s claws may be intimidating, if you do a bit of preparation in advance, proceed slowly and follow simple guidelines, the procedure can be relatively trouble-free and painless for everyone. The ASPCA has detailed steps for nail trimming on their site but here are some key pointers. Start early – begin clipping your cat’s nails as a kitten and adult cats can learn to tolerate nail clipping too. Create a relaxing and peaceful environment where you’ll do the clipping and catch your kitty in a calm mood. Gently take one of your cat’s paws between your fingers and massage for no longer than the count of three. When they are still, give the pad a little press so that the nail extends out, then release the paw and immediately give them a small treat. Practice just this motion on a daily basis to get your kitty used to it. The pink part of a cat’s nail, called the quick, is where the nerves and blood vessels are. Do NOT cut this sensitive area. Snip only the white part of the claw. If you do accidentally cut the quick, any bleeding can be stopped with a styptic powder or stick. It’s a good idea to keep it nearby while you trim. With your cat in your lap facing away from you, take one toe in your hand, massage and press the pad until the nail extends. Now trim only the sharp tip of one nail, release your cat’s toe and quickly give them a treat. You may want to do just one paw at a time for the first couple of sessions. If you’re more of a visual learner, you can find plenty of “How To” videos out there on YouTube but here is a particularly helpful one we’ve found. Hello! My name is Ginger and I was adopted around Easter 2011. I am named after the month of April which is also a time of new beginnings. I needed a new beginning after someone abandoned me and I had to ask for help by crying loudly enough so that strangers outside of the apartment walls could hear me. I was taken to the PG County shelter and a nice volunteer there contacted Tails High to come get me. They realized that I was a cat who needed a second chance. I met my new mom at the Petco in Cleveland Park. She wasn’t looking for me at the time but I turned on my charm and I convinced her to take me home. Mom got me so that I could play with her other cat, ChiChi, while she was gone at work during the day. I was very afraid when I first came home. I spent a lot of time hiding under the bed in my safe zone. One day I couldn’t get under the bed so I had to venture out and share space with ChiChi. Now I spend most of my time on the top rung of the cat condo or lying on Mom’s bed. I’ve even mastered jumping the six feet from the cat condo to the bed to watch TV with Mom. I love to watch TV but I also like to chase shoelaces, mousies, feather wands…..whatever I can get my paws on. I leave them all over the house as a present to Mom. When I want attention, I’ve been known to let out a squeal and roll around to get it. The vet says that I have a heart murmur but Mom says I can be safe for the rest of my days here with her and my friend ChiChi. I never have to feel lonely or frightened again. I hope I will be here to love and enjoy them for a very long time. Thanks for finding me such a great home Tails High! Please remember to use this link when you’re doing all of your holiday shopping!